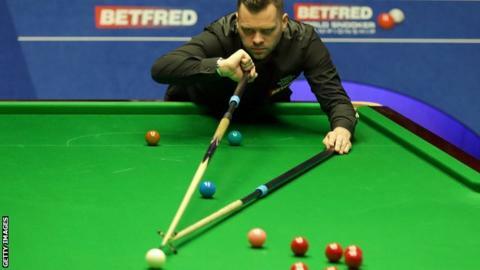 Jimmy Robertson says conquering his Crucible nerves will be key to playing at his best if he returns to snooker's showpiece event for a third time. The 28-year-old was beaten 10-6 by world number 11 Marco Fu in the opening round of this year's World Championship in Sheffield on Sunday. "It took me too long to settle down," Robertson told BBC Sport. "But it's all experience and hopefully I can come back here again and hold it together a bit better next time." Robertson's only previous Crucible appearance ended abruptly, with a 10-1 thumping at the hands of reigning world champion Mark Selby in 2011. But the world number 42, who was born in Bexhill-on-Sea, said there has been progress since his last outing in Sheffield. "Four years ago when I was here I was a lot more nervous than this time and hopefully next time I will feel better from the off," he added. "The first session I was happy to be 5-4 down. It could have been 6-3 either way, but I didn't really take my chances. "After getting it back to 7-6 I had a couple of really nice chances to go 7-7 but I didn't take them and you have to take them at this level. "And 7-7 to 8-6 is quite a difference near the end of the match. After that I struggled and he played well."